(Rick Egan | The Salt Lake Tribune) The homeless shelter under construction at 131 East, 700 South, in Salt Lake City. Friday, Dec. 21, 2018. (Rick Egan | The Salt Lake Tribune) The homeless shelter under construction on Paramount Ave, in Salt Lake City. Friday, Dec. 21, 2018. (Rick Egan | The Salt Lake Tribune) The homeless shelter under construction at 3380 South 1000 West, in South Salt Lake. Friday, Dec. 21, 2018. (Rick Egan | The Salt Lake Tribune) The homeless shelter under construction at 3380 South 1000 West, in South Salt Lake. Friday, Dec. 21, 2018. (Rick Egan | The Salt Lake Tribune) The homeless shelter under construction at 131 East, 700 South, in Salt Lake City. Friday, Dec. 21, 2018. Matt Minkevitch, executive director of The Road Home, was optimistic in a recent interview about the progress of the homeless shelter’s annual holiday fundraiser. Donations amassed during the two-day telethon, he said, are critical to keeping The Road Home running smoothly through the end of June, when its fiscal year turns over. The looming summer months have additional weight this year, because The Road Home will relocate sometime in June or July to a new location. It will be one of three new homeless resource centers scheduled to open next year in Salt Lake County after years of planning, debate and occasional missteps by the various government agencies and private organizations that serve Utah’s indigent population. 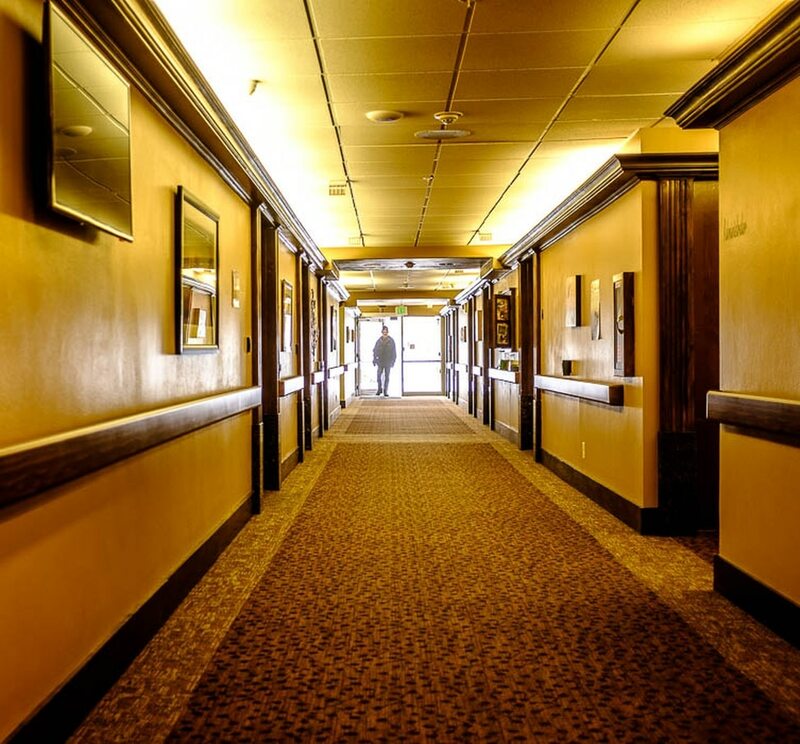 State leaders and service providers see the potential start of a new era in Utah’s approach to homelessness, one that emphasizes collaboration between public and private entities. And the three centers — two in Salt Lake City and one in South Salt Lake — are designed with that approach in mind, with on-site services in addition to shelter space and the aim of getting individuals and families the help they need as quickly and efficiently as possible. A legislative audit released earlier this month dinged the state’s network of homeless services for a scattershot collection of record keeping. That report followed a period in which the state boasted of its successes, walked back from those boasts and ultimately launched Operation Rio Grande, a multipronged law enforcement and rehabilitation effort initially aimed at breaking up what had become an open-air drug market in downtown Salt Lake City. (Rick Egan | The Salt Lake Tribune) The homeless shelter under construction at 3380 South 1000 West, in South Salt Lake. Friday, Dec. 21, 2018. In the background, thousands of Utahns continue to lack access to stable housing. Federal data released this month showed that Utah was one of five states to see its number of homeless veterans increase between 2009 and 2018, and community members gathered recently at a vigil to honor the 121 Utahns who died this year while, or after, experiencing homelessness. Gordon Walker, outgoing director of the division, had championed an approach called “housing first,” which focused on getting the chronically homeless into a stable housing solution quickly to better address factors like employment or disability. Three years later, the housing-first policy remains, but Walker and the “91 percent” figure are gone. He went on to become CEO of the San Diego Regional Task Force — and is currently on leave for an assignment with The Church of Jesus Christ of Latter-day Saints. His successor at the Utah Division of Housing and Community Development says the touted decline in the chronic homeless population was somewhat exaggerated by changes in how that group of individuals is calculated and defined. Hardy said the state now has a precise list of individuals who classify as chronically homeless — a relatively small subset of the broader homeless population. And the size of that group was estimated in the past, Hardy said, while the transition to a more accurate count contributed to the perceived decline in 2015. That type of inconsistent number crunching was flagged by this month’s audit, in which researchers set out to identify which of the state’s housing and homeless services programs had the best rates of success. Hardy said the state has already made progress toward consistent record keeping with the development of its Homeless Management Information System, of HMIS, a shared database of service records used by the various entities involved with homelessness. And he said there is broad agreement with the audit’s recommendations for increased consistency, accuracy and goal setting, with the new resource centers offering an organic baseline to measure improvement going forward. In the wake of Operation Rio Grande, residents throughout Salt Lake City have reported upticks in homeless activity as a concentration in the downtown area has disbursed elsewhere in response to a heavy law-enforcement presence. (Trent Nelson | The Salt Lake Tribune) Kim Adams was homeless and now lives at the Inn Between in Salt Lake City on Wednesday Dec. 12, 2018. (Trent Nelson | The Salt Lake Tribune) Orval Boss was homeless and now lives at the Inn Between in Salt Lake City on Wednesday Dec. 12, 2018. (Trent Nelson | The Salt Lake Tribune) The Inn Between in Salt Lake City on Wednesday Dec. 12, 2018. 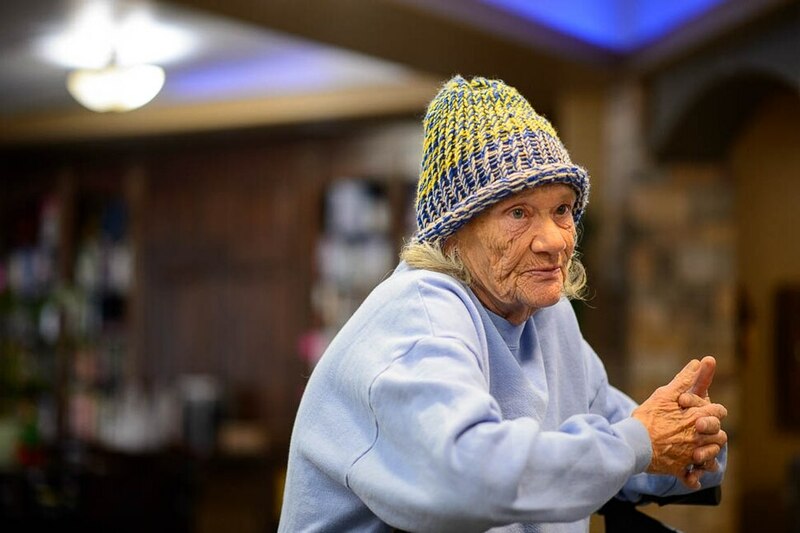 (Trent Nelson | The Salt Lake Tribune) Kay Adams was homeless and now lives at the Inn Between in Salt Lake City on Wednesday Dec. 12, 2018. 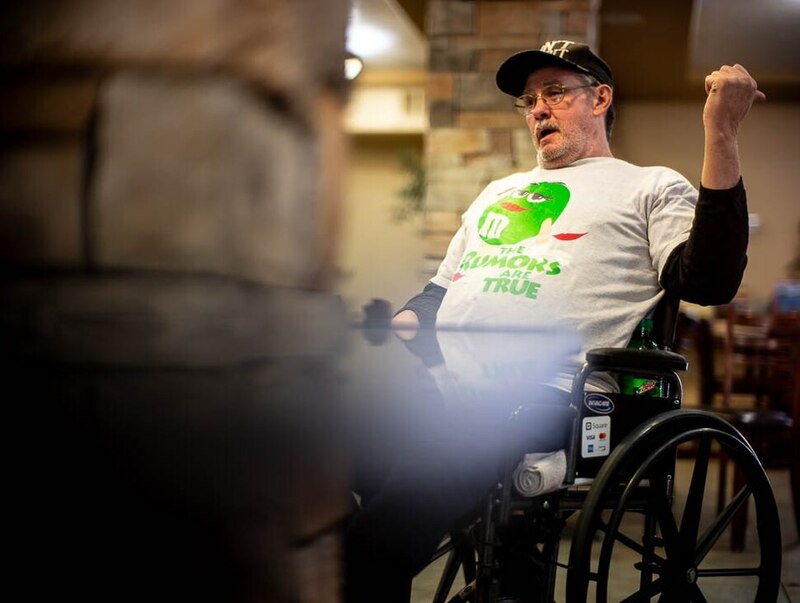 (Trent Nelson | The Salt Lake Tribune) Orval Boss was homeless and now lives at the Inn Between in Salt Lake City on Wednesday Dec. 12, 2018. That dynamic has led to instances of tension, such as the pushback from some neighbors against The INN Between, a hospice and medical center for the homeless that recently relocated to Salt Lake City’s east side. Cochrane, whose Shelter the Homeless group owns the new resource center properties, said organizers are working in advance to engage with and build relationships with their new neighbors. But after a controversial site-selection process, he acknowledged that some critics will likely object to the presence of homeless shelters in their communities when they open this summer. Cochrane said the attention paid to the issue of homelessness in recent years, positive and negative, has generated discussion around an important issue in the state. And from that attention, he said, comes a shared interest in making improvements. Asked about the recent audit, Minkevitch said he sees it as a road map for the future, not an indictment of the present. The numbers can be overwhelming when the individual experiences of struggling Utahns are lumped together, he said, but made more manageable as select services can be targeted to specific groups. He said the various partners are all at the table working on the shared goal of addressing the needs of people who are currently or have recently been homeless, and the availability of affordable housing to minimize homelessness going forward. “There’s a tremendous amount of collaboration going on,” Minkevitch said.